Symphony Westerwald uses the security standard SSL (Secure Socket Layer) for the data transmission during the ordering process. Your data, especially personal data, such as your address, is protected from access by third parties at any time. Even banks use this procedure and thus ensure your security. 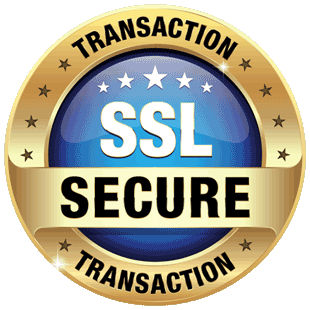 SSL (Secure Sockets Layer) is an open standard by Netscape for secure data transmission over the Internet. With the help of SSL, unauthorized access to security-relevant information such as address or credit card numbers prevented to enable secure electronic payments via the World Wide Web (WWW). To encrypt your data you do not need any special software, just a normal browser with security function (eg Microsoft Internet Explorer from version 2.1 or Netscape Navigator from version 2.0). The encryption of information is usually detected by the “https” prefixed with the Internet address (such as https://waldhoerner.de). Furthermore, a lock or key symbol will appear in your browser window.